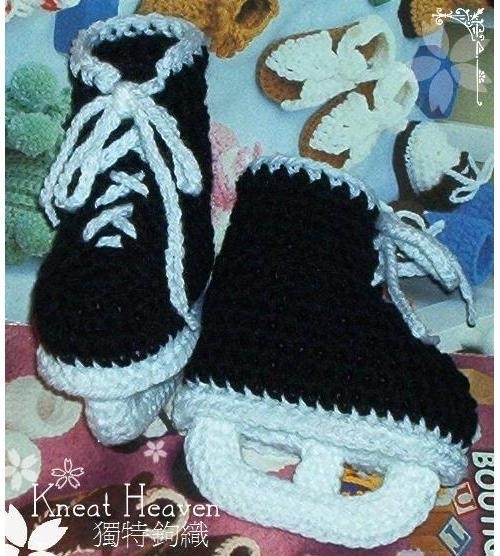 You are looking at a pair of Hockey Skates Baby Booties. They are hand crocheted from very soft machine washable and dryable baby yarn in white and black. Measurements 4.0" from heel to toe to fit 0-6 months. These booties are new and come from a smoke-free and pet-free environment. Item ships from: Windsor, ON, Canada. $3.00 USD by Canada Post. $2.50 USD by Canada Post. $6.50 USD by Canada Post. Coming from a hockey family I have bought many pairs. Never seen any that compare. These booties are sooo cute! I will be ordering another pair! Thank you! I love the booties! Thank you so much! They are even better than I anticipated! !